I had been dying to experience Iceland for years, and so was super excited when I finally booked a (fairly last-minute) trip over 4th of July last year. 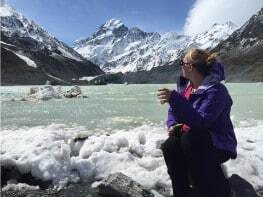 As I clicked “buy now” on the flight, visions of glaciers and black beaches and stark cliffs danced in my head. And since I only had a month to prepare, my mind immediately shifted to itinerary details and packing prep. Similar to my winter Arctic Circle trip in Norway a couple years ago, I was somewhat in uncharted waters preparing for Iceland in summer. I dug into research to figure out what items I would truly need, since I knew it would take some trial and error (thank you, Amazon Prime!) to find things I loved. But I did, and it was AMAZING! 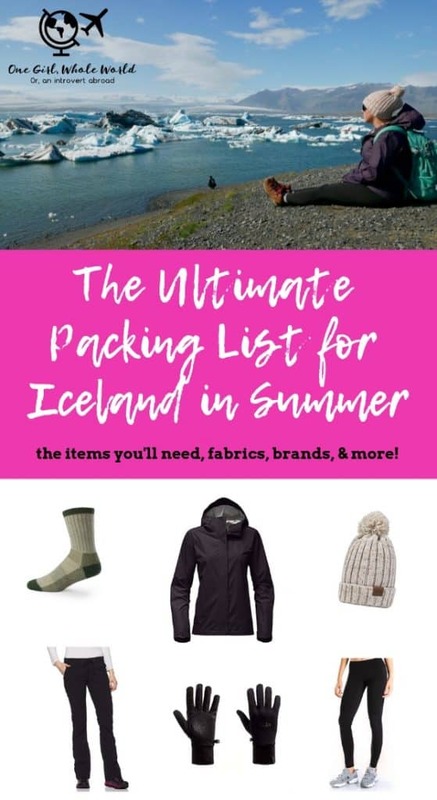 So it’s time to share my perfect Iceland summer packing list with you good people. The way I’ve laid this out is some basic principles of packing first—fabrics, types of layers, etc. Then I list out each item and talk about what worked and how I used it. If you’re going at a slightly colder time, check out my ultimate Arctic winter packing list for even cozier duds and some must-have cold weather gear! Just a note before we dive in—I don’t work directly with any of these brands, but I may make a small affiliate commission from any Amazon sales that come through clicks from my links (which I greatly appreciate, and at no extra cost to you). All opinions are, as always, completely my own! 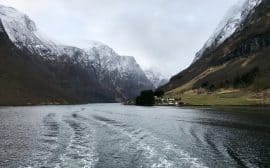 I had already done a ton of research before going to Norway in winter a couple years ago, and all the same principles hold true for Iceland, whether in summer or winter. So thankfully I didn’t have to start completely from scratch on either research or an activewear wardrobe (I literally had NOTHING before that Norway trip). To start with, use these principles to figure out what pieces will work best for you. Be prepared (cue Scar song). The weather in Iceland is bananas, and can change in a heartbeat. We went from a gorgeous sunny day to pea soup fog and sideways rain in the span of about 15 minutes one day. Also, the wind on high points is absolutely insane. You do need to be prepared for extremes even in the summer. Layers are KEY. Merino wool and silk are your friends for key bottom-layer pieces like thermals (merino wool is the more cost-effective of the two). Fleece-lined leggings are also great, in my experience. Synthetic materials can be good at times, if they’re designed for active activities (so they wick away moisture). Avoid cotton! Find brands that consistently get good reviews, and go big there. A few of the big ones I’ve had great luck with are Minus33, Icebreaker, Arcteryx, and then some good pieces from REI, Backcountry.com, North Face, Columbia, etc. Then you can figure out where to splurge a little and where you can totally cheap out. I go through each item in detail below, and give you my thoughts on where you need to go with a higher-quality item and where a simple Target or Amazon piece will be totally fine. You’ll need some waterproof and wind-resistant outer layers FO SHO. As sad as it is, how the rest of your clothes look won’t matter much because you’ll literally be wearing your jacket/coat 80%+ of the time. Bring one “cute” (warm) outfit and then you can just wear simple thermals and sweaters under your jacket. But think about making sure your jacket or coat is pretty as well as functional, since it will bei n all your pictures (I love the deep purple color of mine). It’s good to really think through what your itinerary looks like and what you’ll be doing when you’re using the gear, to figure out if you’ll truly use it. As an example, I kept trying to sell myself on the idea of fancy expensive boots for both this trip and my previous winter Norway trip, but other than the glacier hike I knew we weren’t doing any major hiking and certainly not in water or snow, so I ended up going with a more cost-effective multipurpose hiking boot this time. 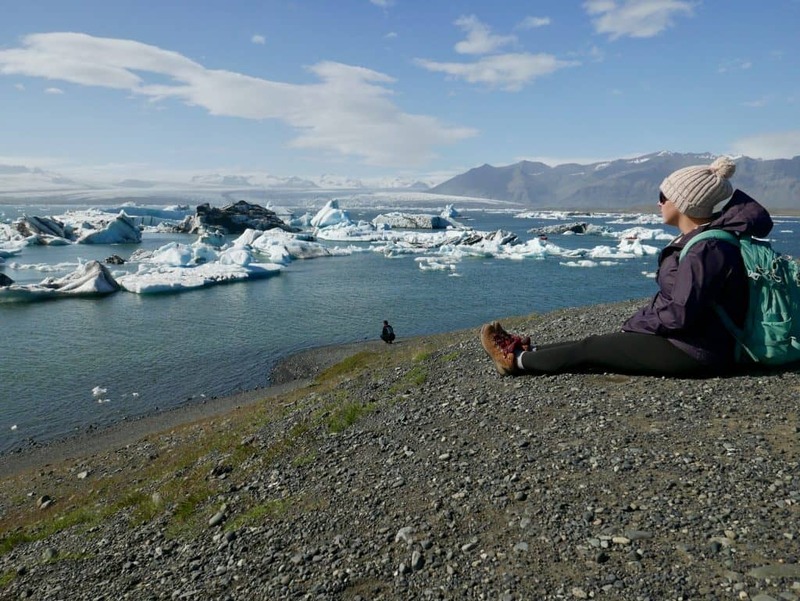 Okay, let’s get to the good stuff…a perfect Iceland summer packing list! I literally wore this North Face jacket the entire trip, with the exception of a few hours in Reykjavik. I looked around for quite a while to find something that ticked all my boxes, and this jacket really delivered. The most important elements were waterproof, wind-resistant, and layerable. While this jacket isn’t super bulky or heavy, as long as you have a thermal or sweater on underneath you’ll be fine temperature-wise. And it did a great job of keeping me dry in the random rain and all the waterfall spray. And the color is so pretty! I also brought a North Face Thermoball puffy jacket as my backup, since it takes up almost no room and weighs nothing. I chose to wear it around Reykjavik, partly just because I was tired of wearing my other one, and I liked that it provided warmth but was cute too (and I didn’t need a hood). Underneath that pretty, functional jacket you’ll want a quality thermal. You really should only need one unless you’ll be there a long time. I already had this Ibex one from my trip to Norway a couple years ago, and I grabbed this Meriwool gray one for the trip as a backup because the Ibex one was out of stock at the time. Because it’s merino, it doesn’t get smelly or stretched out, and wicks away moisture if I sweat or get damp. I discovered fleece-lined leggings on my first trip to Norway, and totally fell in love (they’re now a staple on my cold-weather runs). These are three of my favorites. You’ll definitely want two pairs for an Iceland summer trip, in case one gets wet or just super stretched out from over-wearing. The first pair is what I wear at home for running in the cold, and definitely have an active bent to them (they have a drawstring and are a bit more sturdy). The second and third are more true leggings—they’re cheaper for sure, but they’re comfy and warm, and also layer really well under other pants. Oy, this is not my favorite article of clothing. In general I’m not a big fan of layers and also a lot of activewear because I end up feeling like I look super bulky. And I kind of hated wearing rain pants (no fault of theirs)—however, they were invaluable at the waterfalls when I was getting sprayed like WHOA. I didn’t wear mine tons, just slipped them on over my fleece-lined leggings when we’d stop at a major waterfall like Seljalandsfoss and remove them when we got back to the car. I got and returned a couple, and ended up with these REI ones. Unfortunately they’re discontinued, but these Columbia ones would do the trick—they fit me a little funky but were super similar. These pants, on the other hand, I wore a LOT, and really like them—in my opinion they’re a must for your Iceland summer packing list. I purposefully bought them a size up (though I’m generally between sizes so it’s actually more like half a size up) so I can easily wear them over my fleece-lined leggings. It’s the perfect kind of layering, because these pants are super lightweight and meant to just provide extra protection from wind and rain and also dry super fast, while the leggings underneath provide warmth. I even wore them for our glacier hike, and they were perfect (though my crampon kept accidentally catching them, which almost took me down a couple times…). Sometimes you’ll want one more thin layer between your thermal and your jacket. This is one of those cases where you can go simple and cheap. An easy zip-up or pullover top layers well, and a simple athletic material is ideal. You can get them anywhere…Target, Athleta, Amazon, TJ Maxx, wherever. Lightweight and breathable is key, so the merino wool thermal can still get any sweat away from you. Something like this top is perfect. There also might be some days where a simple lightweight athletic material top layers best and you don’t need a thermal. Again, you don’t have to go too fancy here. I have an odd assortment of ones, including one like this North Face, and something like the one below as well as Target or Old Navy ones. I was on the fence here because I truly HATE hiking boots. Like, I really don’t understand why people like them. But I do get that they have their purpose. In hindsight, I think I could have gotten away with mostly wearing nice tennis shoes since we weren’t doing tons of hiking, and then just renting hiking boots for the glacier hike. If we’d been planning to do any other hiking that would have been another story. I bought and returned a few different brands and styles before I found one I was okay with (though I wish I could have found in more of a gray vs. tan). I went with the Columbia Newton Ridge. Style-wise I’m not a huge fan, but they did their job well and were comfortable. You’ll want at least 2 pairs, because they’ll definitely get wet at some point and you’ll want a dry pair. Smartwool and Minus33 are two good brands. These ones come up to your calf, and these are ankle socks. I kept a pair of Smartwool no-shows with me too, because I could easily layer them on without adding bulk, and the merino wool just added a bit more warmth. I have some sweaters from Old Navy I brought, can go to dinner and your coat will still keep you dry and warm. Just one or two will be totally good for a 3-5 day trip. 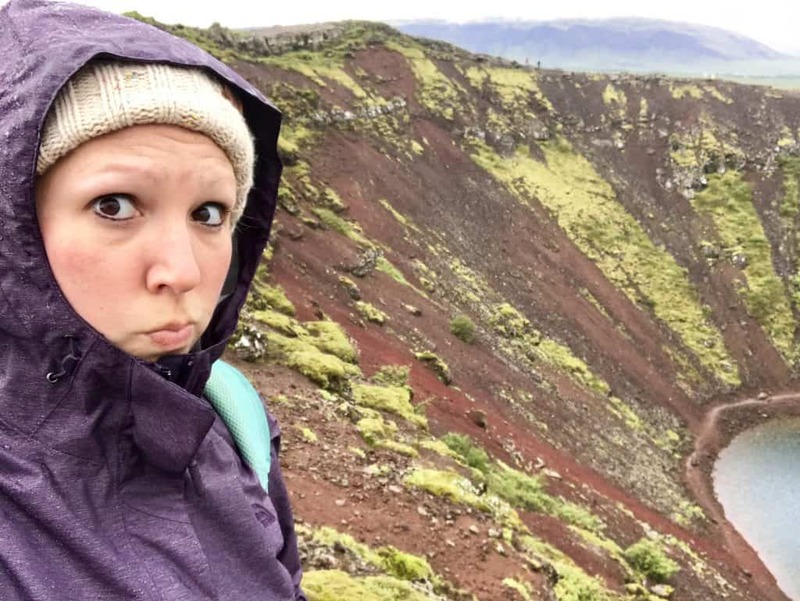 In general, jeans aren’t your friend for Iceland. They aren’t particularly warm, and if they get wet they take FOREVER to dry. And honestly if you’re strapped on packing space, bringing a pair definitely isn’t necessary. I had the space in my suitcase and enjoyed having a break from active wear when we were in Reykjavik—but only because the weather was nice. If it had been raining while we explored the city I still would have gone with my quick-drying fabrics. I’m a huge Nike Pegasus fan, I’ve worn them for years and something like this would have been great to have with me. My friend wore shoes like these the entire trip and was fine. I was bummed I ended up leaving them out of my suitcase. You can certainly wear your hiking boots or tennis shoes around Reykjavik and also on the airplane, but that is very much not my style (and I don’t find it as comfortable). Instead, I found these Cobb Hill ankle boots or my Tieks or Rothy’s to be perfect. The booties are lined inside with a lovely microfleece and have really good grip and a thick, supportive sole. I am also a big fan of both Tieks and Rothy’s, for different reasons. 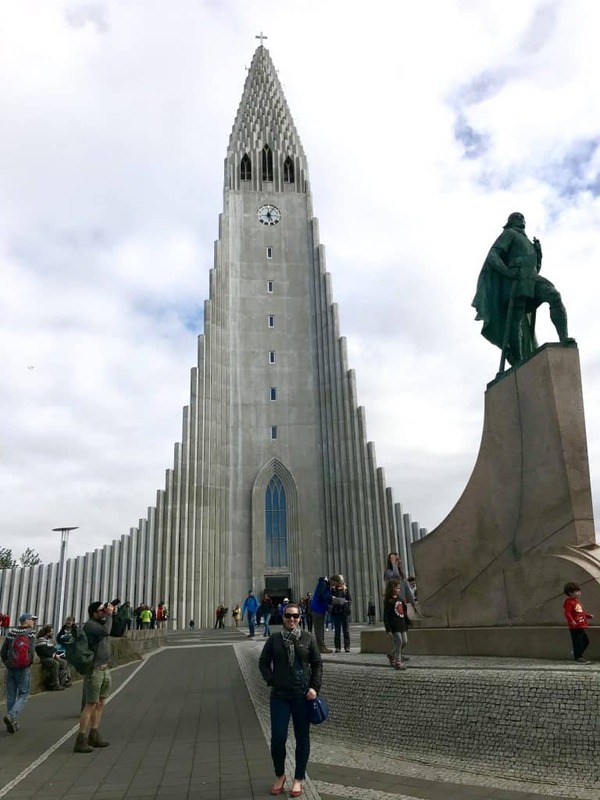 I’m wearing my red Tieks in the Reykjavik church photo at the beginning of this post, and they’re one of my go-tos for just walking around a city, since the rubber sole provides good cushioning and they can expand and contract as my feet swell a bit later in the day. I haven’t worth Rothy’s as much for an all-day cobblestone Europe extravaganza, but I do wear them (and Tieks) on airplanes all the time and also just for simple walking around, heading to dinner, etc. Both brands are crazy lightweight and take up practically no room in a suitcase or personal item (and I adore that Rothy’s are machine washable). On my couple of Norway winter trips, I’d looked at various beanies but struggled to find one that fit my head without making me into a pin head, and also that could accommodate my bun (ain’t nobody got time for blow drying in this kind of climate…). For those winter trips I ended up going with a headband since I’d have a hood on constantly, but for this summer Iceland trip I knew I needed a separate hat. After some trial and error, I found this adorable one and ended up loving it. Not only is it cute and warm, but it’s lined with super soft fleece/microfiber fur inside. So there are a couple things to consider here, the most important of which is how much you’re going to need to use your hands for touchscreen devices, and also how important dexterity is. There are a couple directions you can go in. For my Norway winter trips, I used these Korlon “glittens”, which pull back to expose your fingers when you’re using your cameras (but whoa, is it cold then). For this trip I brought those, but also my everyday cold weather running gloves, which are merino wool Icebreakers. They’re fairly thin, so you can still really use your hands well, and my newest pair has (actually really impressive) touchscreen technology in them so you don’t have to remove them to use a phone. I didn’t have to use my gloves all the time in Iceland in July, but they still were a must-have at times. Since you’re not visiting in winter, you won’t need tons of extra gear, but here are a few other things I brought with me. I packed a carry-on rollaboard suitcase (my standby TravelPro) and brought my Osprey Celeste backpack as my personal item. I also brought my absolute favorite crossbody travel purse, particularly for Reykjavik. A good bluetooth selfie stick (and phone tripod) – When I first planned this trip, it was a solo adventure so I knew I’d want to be able to get decent pics of myself that weren’t just a closeup of my face. A “real” camera for any nighttime or low-light photography – I upgraded to the newer Panasonic Lumix LX100 for my Iceland trip. I’d had the Panasonic Lumix DMC-LX7 since 2014 and that’s what I used for our Northern Lights tours—it’s still great. The Lumix lens on both is amazing for a small mirrorless. You’ll want a regular tripod for this camera if you plan to do nighttime photography (I use this one). You’ll also want a plastic cover for your camera, to protect it from waterfall spray and rain. A garbage bag or poncho for your backpack or gear wouldn’t be a bad idea either. An extra battery or two would be smart as well. External battery charger – I use this Jackery one. It holds a lot of charge and isn’t too bulky or heavy. 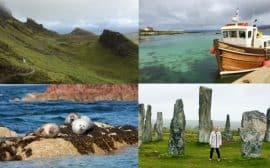 So hopefully all the planning and research has helped you plan a warm(er) weather adventure to Iceland, Norway, or another amazing Scandinavian or Arctic destination. 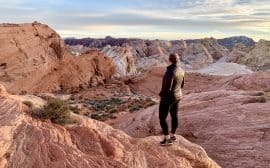 I’d love to know if there are other items you’ve used on your own trips, or questions that you have about an upcoming trip! Are you planning for an epic trip? What burning packing questions did I not answer here?? Let me know in the comments, happy to help in any way!